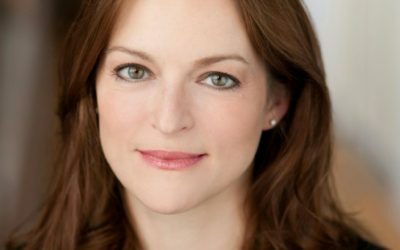 Joseph Jefferson Award nominations: Production – Musical (midsize), Ensemble – Musical or Revue, Director – Musical (midsize) for Lili-Anne Brown, Music Direction – Michael Mahler, and Performer in a Principal Role – Musical for Zachary Stevenson’s “Buddy Holly”. Before the Beatles or the Rolling Stones ever played a note, rock & roll was forever changed by the bespectacled kid from Texas. 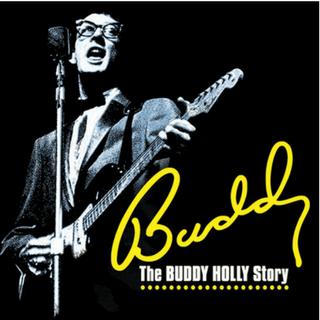 Buddy tells the true story of Buddy Holly through his short – yet spectacular – career and features the classic songs “That’ll be the Day”, “Peggy Sue”, and the Big Bopper’s “Chantilly Lace”, Richie Valens’s “La Bamba”, plus many more. To learn more, read our Artistic Director’s note and Backstage Guide. Additional shows on 8/15 @ 2:30pm; 9/12 @ 2:30pm. CAST (in alphabetical order): Elisa Carlson, Liz Chidester, Ian Paul Custer, Ann Delaney, Vasily Deris, Derek Hasenstab, Molly Hernandez, Keirsten Hodgens, Cisco Lopez, Michael Mahler*, Kieran McCabe, Matthew Mueller, Daniel Riley, Zachary Stevenson, Denzel Tsopnang, and Shaun Whitley. PRODUCTION TEAM: Alan Janes (book), Lili-Anne Brown (director), Michael Mahler* (music director), Sarah E. Ross* (scenic), Jared Gooding* (lights), Samantha C. Jones* (costumes), Rick Sims* (sound), Kevin Rolfs (props), Aaron Shapiro (production manager), and Cara Parrish* (stage manager). We raise awareness of other non-profit organizations’ great causes through creative collaborations. We’re proud to partner with Northwestern University’s The Family Institute, Chicago Public Schools, and Guitars Over Guns. We continue our “Pink Previews” to donate proceeds to The Lynn Sage Foundation for breast cancer research. Read the incredible critical response to our revival of BUDDY – THE BUDDY HOLLY STORY. Read the cast and creative team’s biographies for BUDDY – THE BUDDY HOLLY STORY. 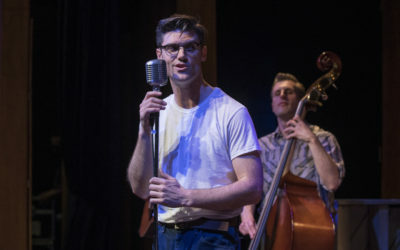 Read about our free events for audiences of BUDDY – THE BUDDY HOLLY STORY. Welcome to the final production of American Blues Theater’s 32nd season “The Beat Goes On”.  We proudly present a revival of BUDDY – THE BUDDY HOLLY STORY for Chicago audiences. Charles Hardin Holley (nicknamed “Buddy” in childhood) was born in Lubbock, Texas. 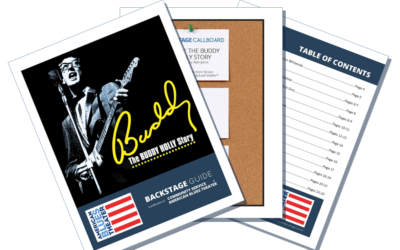 Inside look at BUDDY-THE BUDDY HOLLY STORY – read interviews, see designs, and learn more about the production.